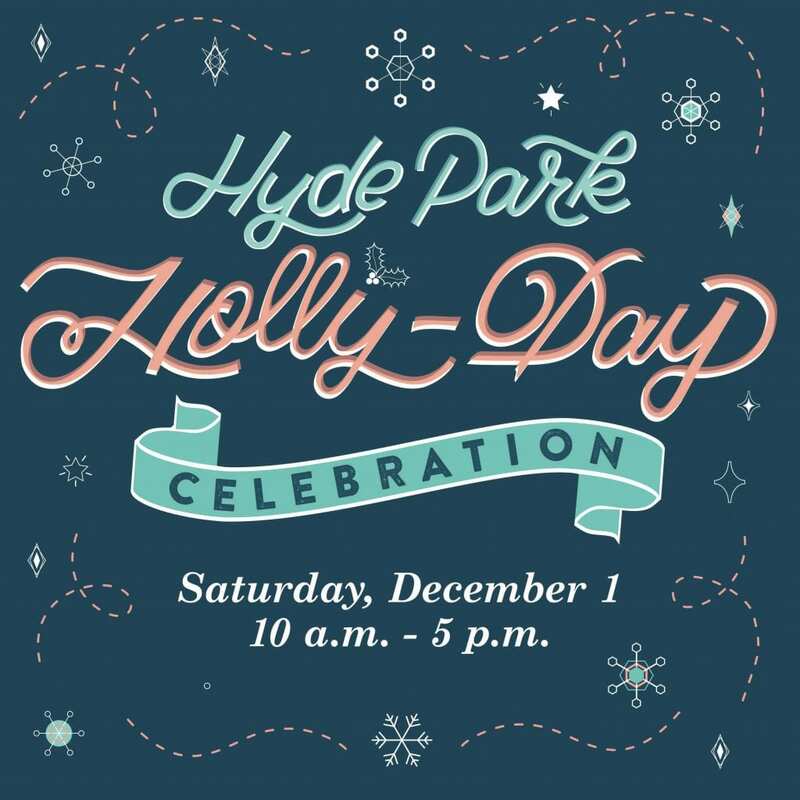 Hyde Park Holly-Day is back and better than ever with lots of free, fun, family activities to kick off the holiday season. The event is presented by the University of Chicago in partnership with Downtown Hyde Park, the Hyde Park Chamber of Commerce, and the Southeast Chicago Commission. Harper Court – 5235 S. Harper Court, 10 a.m. – 12 p.m.
An ice artist from Nadeau Ice Sculptures will create two ice sculptures using a chainsaw. Be on the lookout for 8 holiday ice sculptures on both sides of 53rd Street. “Frozen” – 10 a.m., 2 p.m.
“The Grinch” – 12 p.m., 4 p.m.
Vanille Patisserie – 5229 S. Harper Court, 10 a.m. – 5 p.m.
5231 S. Harper Court, 10 a.m. – 12 p.m. Choose a Christmas, Hanukkah, or Kwanzaa frame printed on your free holiday photo. 5231 S. Harper Court – 12-2 p.m.
5231 S. Harper Court, 10 a.m. – 2 p.m. Led by staff from Hyde Park’s Brown Books & Paintbrushes, KAM Isaiah Israel and Real Men Charities, Inc.
Meet at 5235 S. Harper Court, 12 p.m. Select Hyde Park locations, 12-2 p.m.
Meet all four for photos and autographs! Moana – Jolly Pumpkin Pizzeria & Brewery, 12-12:45 p.m. / Kilwins, 1-2 p.m.
Spiderman – Dearborn Denim & Apparel, 12-12:45 p.m. / Jojayden, 1-2 p.m.
Darth Vader – Connect Gallery, 12-12:45 p.m. / Hyatt Place, 1-2 p.m.
Ariel – Einstein Bros. Bagels, 12-12:45 p.m. /Native Foods, 1-2 p.m.
Hyde Park School of Dance Nutcracker Preview Performance, 1-1:30 p.m.
Betty Shabazz Academy, 1:30-2 p.m.
Hyde Park Shopping Center Courtyard, 2-4 p.m.
Visit www.hphollyday.com for the full event schedule and to RSVP.